The most exciting of Belgrade’s municipalities, where I’ve been a tenant for about twenty years, is targeted by all administrations, all tourists and all those who’ve been living here since before time, recounting the legend of origins of this place, where you still get to have neighbours. The National Library is the princess of all institutions – the queue to enter is longer than the one for the rafts on the Sava. The temple of words and the temple of faith collide, but do not oppose each other, even though their audiences don’t overlap. 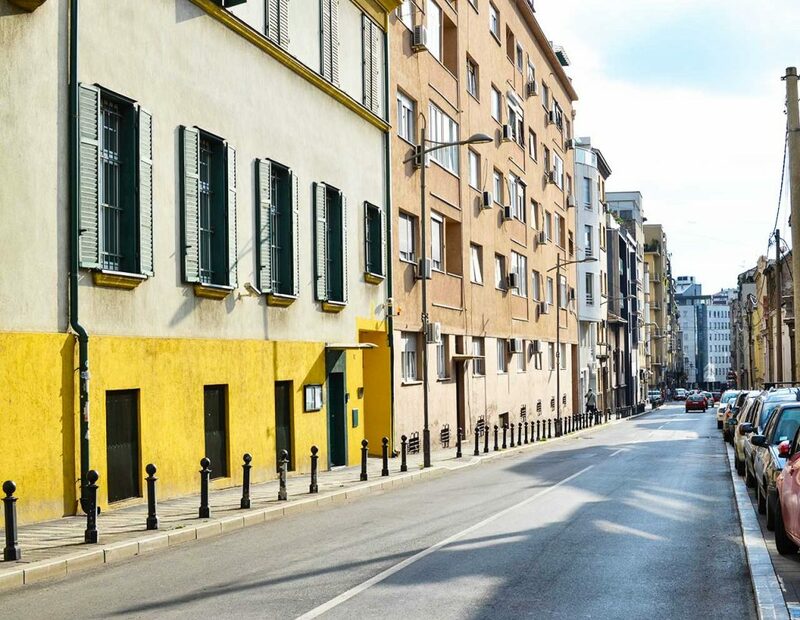 The oldest story dates back to 1521, when this neighbourhood was named after an infidel hero, whose name was Vračar and who had a hut here, in this location. A different story has it named after sparrow fields, as a myriad of these birds resided at the territory of today’s Vračar. After the territorial division into areas was rescinded in 1952, two municipalities were formed here: Istočni Vračar and Neimar. In 1960, the territory of the contemporary municipality was delineated, now encompassing parts of what used to be municipalities of Istočni Vračar, Neimar and Terazije. It is here, in this Vračar, that you come to fill your cup of indulgence and culture. The most significant element is certainly the Museum of Nikola Tesla, founded in 1952, located in 51 Krunska Street. The Museum building was pronounced a monument of culture in 1987. The Museum has a standing exhibition, in which one part is dedicated to the life and work of Nikola Tesla and the other showcases the development of science on electricity and magnetism. The most interesting part is the one hosting authentic documentation and operational models of Tesla’s inventions. You have to touch that, even if you don’t live in Vračar. Religious tourism also resides in Vračar. If you haven’t prayed in front of the St. Sava Temple, you probably have no idea on how to go on with your life. But it is the National Library that is the princess of all cultural institutions – the queue to get in is longer than the one for the rafts on the Sava river. The temple of word and the temple of faith collide, but do not oppose each other, even though their audiences are completely different. Vračar is a lair of hedonists of all colours. My personal favourite is the pub “Ribolovačka Priča” (“A Fisherman’s Tale”) with chequered tablecloths: it has fish and it has tales. And it was just announced that it was to be torn down, since, as they say, the rules of civilisation command that in every attractive location a new high-rise or a parking garage must be built – however, “Ribolovačka Priča” is moving to Nevesinjska Street, the dreamiest place in Vračar. Those who want to offend this street, which was my hideout for an entire decade, say that the title should go to Strahinjića Bana Street. But realistically, it shouldn’t. It is true that Vlada “Zaplet” (“The Plot”) has moved his “Dijagonala” (“The Diagonal”) from Skerlićeva Street, just behind the National Library to Nevesinjska, now to be named “Cveće Zla” (“Les Fleurs du Mal”). And it is true that this “fancy” crew now resides in the space where a pharmacy used to be, but right next to it is “Talija”, the favourite joint of Gaga Nikolić. And across the street from it is another “fancy” restaurant “Homa”, but again, the wall right next to that fancy joint boasts a mural of Gaga Nikolić. In Nevesinjska, beautiful battles of hedonism are being fought. And no hedonism can match that of Kalenić green market, where worlds collide, fruits and vegetables, high heels and young red radishes, where life flourishes from the moment the sellers arrive in their trucks late at night, to the moment that the ladies or the “whipping boys” go to fetch some carrots and parsleys, late in the mid-day, and some other trifles to go with them. An hour in Kalenić green market is the best free city walk you can get. 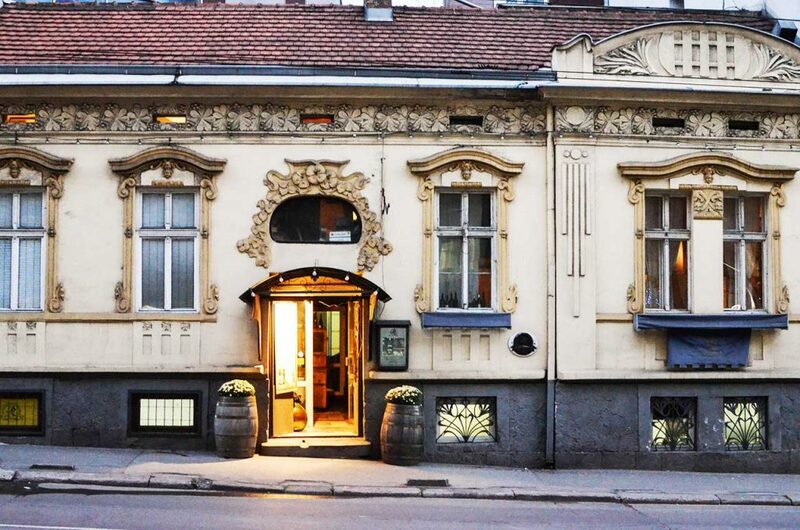 There are some theatrical moments in Vračar, too; a People’s University; many, many wineries, really good parks, there is also the famous “Čubura” pub. Come to Vračar, before someone comes up with the idea to charge you for entrance. Ready for conquering the tops?